Styled with noelle turtleneck . 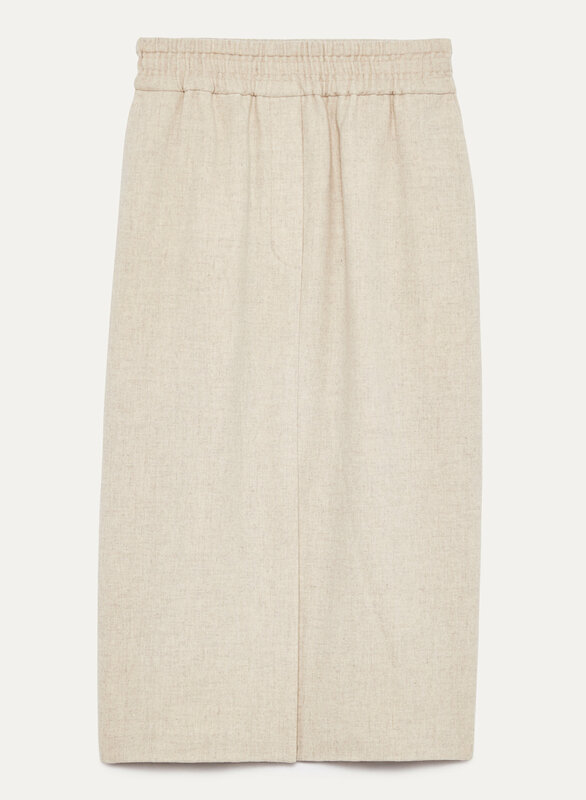 Le Fou's updated take on the pencil skirt is designed with a wide waistband for a more modern fit and feel. This version is made with an elevated Italian wool-cashmere blend. Super flattering and fits true to size. Very comfortable as well.